Leaders and senior managers can make sensitive expenditure decisions that Parliament and the public respect by dealing with sensitive expenditure properly and prudently. specify the process for amending the policies and procedures. given by a person senior to the person who will benefit or who might be perceived to benefit from the sensitive expenditure, wherever possible. Where this is not possible, this fact should be recorded, and any such expenditure should be subject to some form of monitoring. 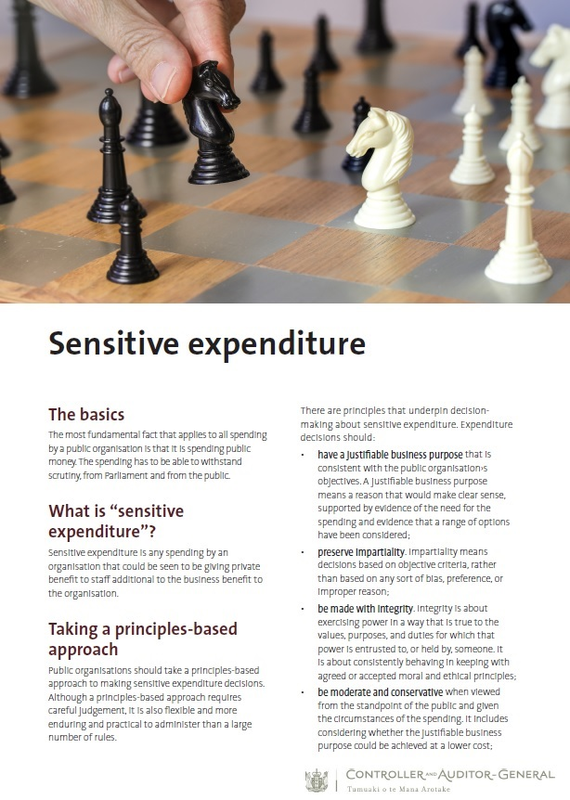 For more detailed information on preparing suitable policies and procedures for sensitive expenditure, please see Part 3 of our good practice guide on controlling sensitive expenditure.